AES256 is symmetric key algorithm i.e., same Key is used for both encryption and decryption process. AES256 is a 256 bits encryption/decryption algorithm that encrypts a plain text into a human unreadable format using an encryption key (Key 256 bits) and initialization vector (IV 128 bits). The Key size should be 256 bits and block size should be 128 bits. It uses Cipher Block Chaining (CBC) mode which introduces feedback. Before each plain text block is encrypted, it is combined with the cipher text of the previous block by a bitwise exclusive OR operation. This ensures that if the plain text contains many identical blocks, they will each encrypt to different cipher text block. The initialization vector (IV) is combined with the plain text block by a bitwise exclusive OR operation before the block is encrypted. If a single bit of a cipher text block is mangled, the corresponding plain text block will also be mangled. The padding mode used is PKCS7 i.e., Public Key Cryptography Standards 7 which consists of a sequence of bytes, each of which is equal to the total number of padding bytes added. Often during development, we require working with flat files which are really large files and at times its really difficult to open these files, and if opened, mostly crashes the application software opening it. Even to process such a large files is not feasible by the system that we develop. The solution is to break such a large file into number of small files and process those small files. How to break a large file into small files without opening it with fixed number of records in each file? Quality is not an event, it is an ongoing process. As far as service organisations are concerned, quality is not the responsibility of the quality control department only, rather it is a matter to be taken care of by the entire business system. According to Philip Kotler, Branding is "a name, term, symbol or design or a combination of them which is intended to identify the goods and services of one seller or a group of sellers and to differentiate them from those of competitors." So how are you going to create your brand that stands out with those of competitors? 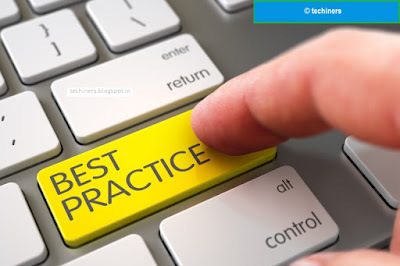 This post will discuss the naming conventions and guidelines that will help developers to have maintainable code keeping the consistency throughout. The post is divided into three parts first being the Naming Conventions followed by two others. Naming Conventions are as per the Microsoft Standards. Hi Geeks! How are you? Hope you all are doing well, rather I should say you all are coding well! Anyways, just to help you out, writing this post to make coding experience much easier and less time consuming. There are lots of tools available for the developers to code while having a cup of coffee! 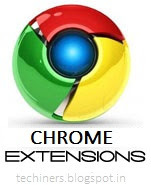 Some of the tools that might help you during development are available as Google Chrome Extensions that you can directly add to your Google Chrome browser. 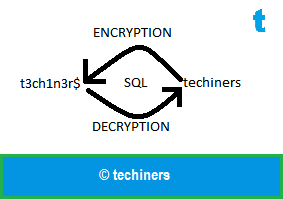 Steps for encryption and decryption cell values in SQL Server. Step 1: Create table and populate data. The master key (DMK) in a database is encrypted by SQL server using its service master key (SMK). SMK is created by a SQL Server instance when it starts up the very first time after installation. For any set of instances of SQL server, the SMK will always be different. So, the DMK in the database will be encrypted differently on each server. This is in continuation with The Scrum Framework Part 2. Please read Part 2 before proceeding with this post. This is the last post in the series THE SCRUM FRAMEWORK. So let us begin with the last part of the series. So, lets begin our journey to The Scrum Framework. . .
After reading this post we must be able to understand what exactly is SCRUM framework? and what it is used for? When and where to use SCRUM? Jeff Sutherland Created the SCRUM Process in 1993 and used the term SCRUM for comparing high-performing, cross-functional teams similar to that in a RUGBY Game. SCRUM is a term used for a team that forms a ring of people with their hands interlocked around each others shoulders and the team march forwards to pull the ball towards their side. It's a term used to describe a circle formed in a RUGBY Game by the players. SCRUM is the leading agile development methodology, used by Fortune 500 companies around the world. SCRUM is an Agile Framework for completing complex projects. SCRUM was originally formalized for software development projects, but it works well for any complex, innovative scope of work. The possibilities are endless. The SCRUM Framework is deceptively simple. techiners.in by Mohd Amir Ansari is licensed under a Creative Commons Attribution-NonCommercial-NoDerivatives 4.0 International License. 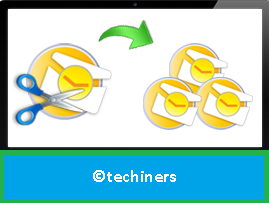 Copyright © techiners.in - 2013 - . All rights reserved.